Dylan Hall learned to drive in a 1971 Pontiac Firebird. With help from family friend Kenny Moyer, along with the use of Moyer’s 1971 Pontiac Firebird, the teenager soon mastered the floor-mounted gear selector lever of the automatic transmission and other driving skills. 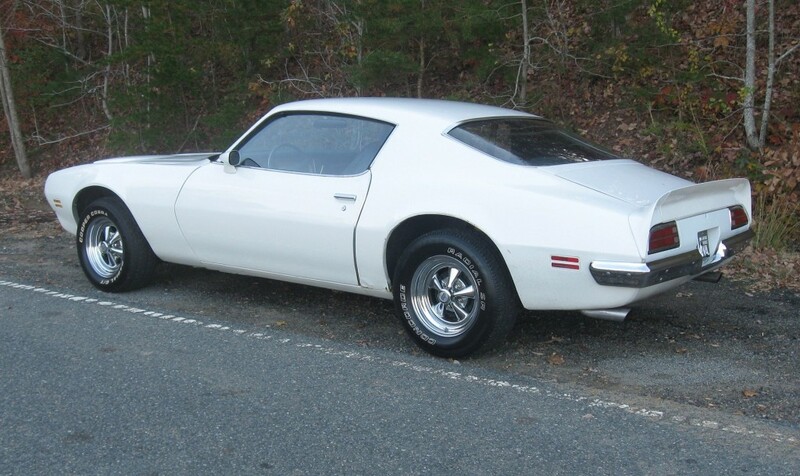 Hall became enamored with the clean lines of the sporty Firebird and informed Moyer that he would like to buy the car when he was old enough to get a driver’s license. When new, the Esprit version of the Pontiac Firebird had a base price of $3,416. Moyer gave the teenager a bargain-basement price for the Firebird with no idea that he would follow through on the deal. Hall saved the income he made working at a local car wash facility and any other odd jobs he could find in order to accumulate the required money to purchase the Pontiac. “The day I got my driver’s license I bought it,” Hall says. That would be May 2, 2009. At that time the odometer had registered 114,000 miles. Moyer honored the price that he had made years before for the car. Any time that the Pontiac needed mechanical attention Hall could count on Moyer for expert advice and assistance. Hall drove his Pontiac to high school during his senior year. “He was the cool guy,” Moyer observes. The early history of the car remains a mystery, however, Hall is aware of two previous owners. There is evidence, such as the original all-blue interior, that the car was originally blue; somewhere along the line it was resprayed white. 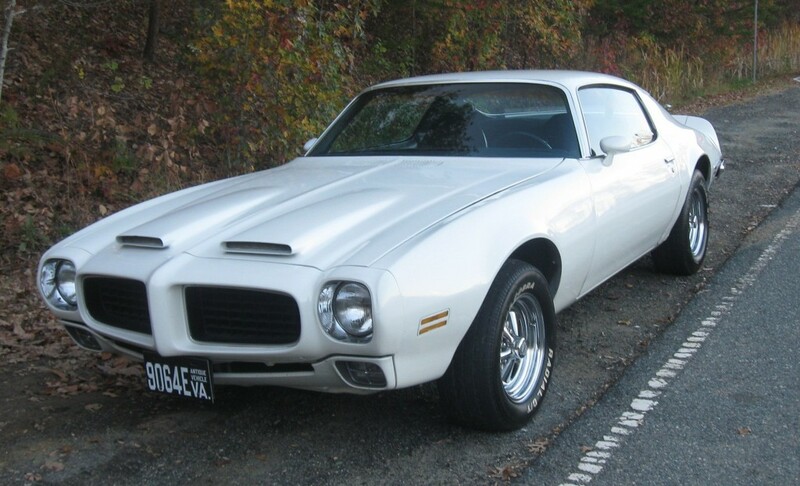 During the 1971 model year, Pontiac manufactured a combined total of 586,853 cars. This particular car comes within a half inch of being 16 feet long and it rides on a 108-inch wheelbase. Hall says that some of the 1971 Pontiacs were very muscular machines. “This one was made for looks, not speed,” he says. That’s not to say that the 350-cubic-inch V-8 engine is underpowered: The two-barrel carburetor feeds enough fuel to the engine to provide 250 spirited horsepower. The 3,416-pound Pontiac is equipped with such optional features as air conditioning, power steering, automatic transmission, dealer-installed Cragar wheels, and power brakes (disc in front and drum in the rear). Centrally positioned in the instrument cluster is an optimistic 160-mph speedometer. On each of the three spokes of the steering wheel is a horn button. Hall says he is mystified as to why any driver would need three horn buttons. From front to rear the gears are Park, Reverse, Neutral, Drive, Second, First. Because he planned to regularly drive this car, Hall replaced the old tires with 15-inch radials. The odometer now counts 144,000 miles. Hall is currently serving in the Coast Guard and is stationed in Guam; he has stored the car with his mother until he returns home in August 2016. It will be waiting for him. This entry was posted in Classic Cars of 1970s, Let's Restore this Old Car -- Classic Classics. Bookmark the permalink.